Most often you may need to purchase expensive software that can convert emails to images. Not today! 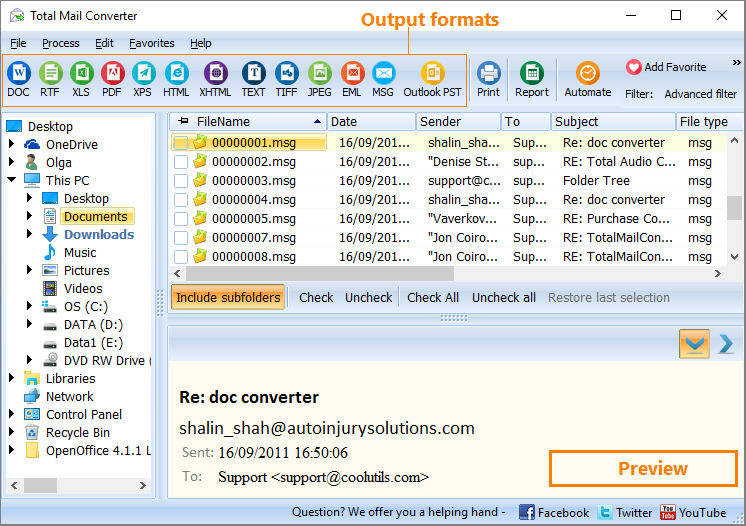 You can use free email TIFF converter offered by CoolUtils. 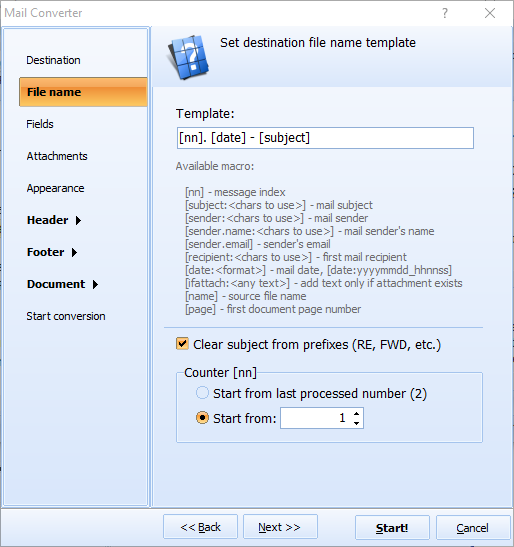 Its Online Mail Converter features 7 formats for converting EML and MSG files that contain email info. you don't have to go through any registrations, subscriptions, etc. Converting emails is very useful, as you will have local copies of important information they contain. Online converter allows selecting desired format, and TIFF is only one of available file types. There are also JPEG, PDF, HTML, DOC and others. With its help you can process one file per time. If you want to convert a few emails to TIFF, you will need to convert each separately. No adjustments, no manual coding. Everything is done on the side of server where you upload original files. Don't worry about the privacy - your files are secured from any third-parties and will not be used for any other purposes. 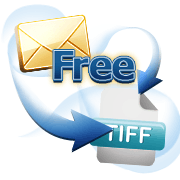 With the help of this service you will just convert email to TIFF free in a comfortable and quick manner. Try it and you will see how convenient it is. 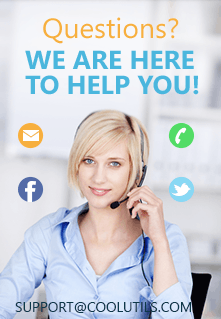 Need batch email processing? Try the desktop Total Mail Converter that converts thosands of emails in one go. It offers a lot of additional settings and does not need any internet connection.